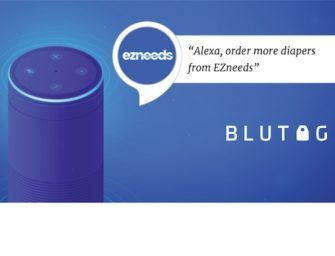 A new survey by ClickZ and Marin Software reveals that 7% of marketers are prioritizing investments this year in “AI (voice search, digital assistants, chatbots).” Maybe more surprising is that 4% or marketers name “smart hubs” such as Amazon Echo and Google Home as a top priority for 2017. This is a compelling result given how new the technology is and how few marketers have had a chance to experiment with it to date. It is worth noting that these results are marketers expressing their priorities for 2017. If its a priority, you can be sure something will be done. However, there are many other marketers that will experiment with voice assistants, “smart hubs,” and AI in 2017. Voice assistants started to hit the radar of marketers in late 2016 and therefore didn’t have a chance to make it into too many priority lists for 2017. Brands will soon learn that consumers using voice assistants like Amazon Alexa and Google Home are inviting select brands into their home and introducing them to their family. If one person uses Spotify in the home, then every other member starts to get exposed to it. If you order Domino’s from your Amazon Echo or Google Home everyone in your household has access to it as well. Someone in your home may use Kayak on your resident voice assistant before they pull up the website or mobile app. Voicebot’s hypothesis is that voice-first devices are ushering in a new category of consumer information access. To be absent from these platforms will be akin to not having a website. Not a good marketing strategy. In past years, voice technologies were the priority for zero marketers. Today, that number is 4-7%. Expect the figure to climb rapidly over the next three years.